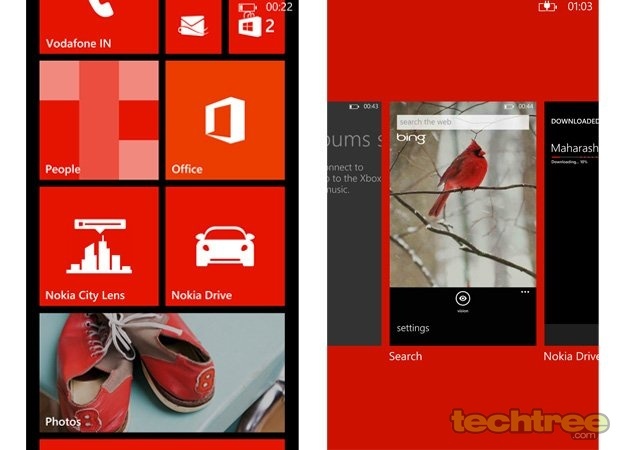 Home » Mobiles » Nokia Lumia 920 — Is Nokia Back In The Game? 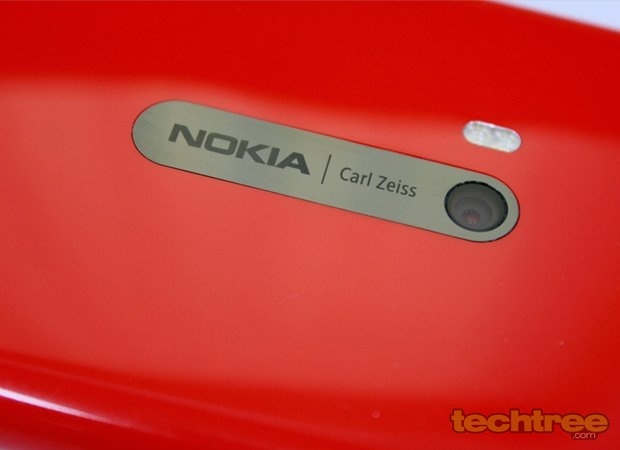 Nokia Lumia 920 — Is Nokia Back In The Game? The idiomatic million dollar question in the smartphone market is, has Nokia managed to bring a worthy entrant to the smartphone war currently waged by Apple and Samsung? 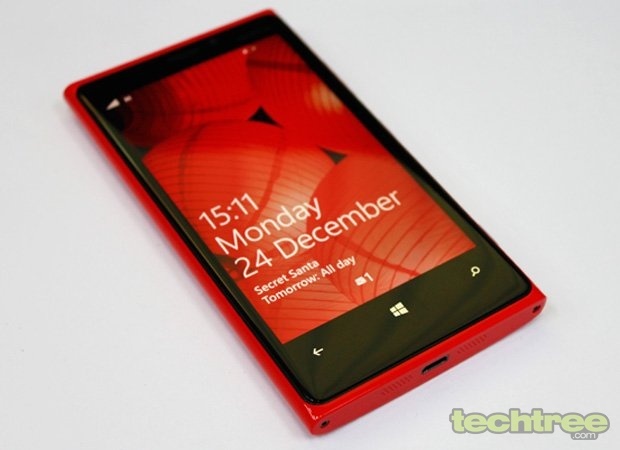 Gallery: Review: Nokia Lumia 920 — Is Nokia Back In The Game? Sturdy Build; Beautiful design; Camera gets optical image stabilisation and does well in low light; Extremely responsive touchscreen; Sleek and fluid UI; Voice-guided sat nav that actually works; Rich social networking experience; Crisp display; Great sound quality. No significant cons; Given the bulk, the battery life could have been better. Nokia's partnership with Microsoft could have gone either way; industry observers have been divided in opinion. Nokia's recent flagship devices have posed no real threat to the iPhone 4S / 5 and the myriad of Androids. But things look different now, with Windows Phone 8 and the latest high-end smartphone, the Lumia 920. Unlike Nokia's earlier top-of-the-line Windows Phone handsets, the Lumia 920 seems right from the word go. The spec sheet includes PureView camera tech, the tried-and-tested Snapdragon S4 chipset, PureMotion HD+ screen with high refresh rate, wireless (induction) charging, and more. Review units were not available from Nokia at the time of launch, so we obtained one from the Netherlands. There are no prizes for guessing that the Lumia 920 looks like an overgrown Lumia 800 — but that's not necessarily a bad thing. The phone's body is CNC-machined; each device is carved out of a single polycarbonate block. The result is a seamless unibody with no cuts or joints, save for the ports and buttons. The precision build and attention to detail is simply amazing. Another advantage of the coloured polycarbonate is that even if you manage to chip off a chunk from the Lumia 920, it will reveal the same colour underneath. This means you won't have to worry about your phone losing its colour. With the Lumia series, Nokia brought back bright colours into fashion. HTC tried something similar with its Windows Phone 8X, but after seeing them both, I'd say the 920 is strikingly beautiful. Apart from the bold red (the piece we reviewed), yellow and white models sport a glossy finish. On the other hand, black, grey, and cyan (currently US exclusive) are matte. After skipping the Lumia 900, the curved display is back with the 920, complementing the design. The use of metal near the 800's camera lens was tasteful, but with use, I found that it's prone to scratches. In the case of the Lumia 920, though, Nokia has retained the placement, replacing the metal with ceramic zirconium (the toughest ceramic commercially available). Nokia claims that this material is both scratch- and wear-resistant. Instead of concentrating on merely slimming down the device, Nokia has been looking at ergonomics. The phone is thick, but due to its curved edges, it fits comfortably in your hand. Weight-wise, it's on the heavier side at around 185 grams. The handset features a 4.5" IPS screen labelled as PureMotion HD+ display by Nokia. The display's 1280 x 768 pixels offers a 15:9 ratio that neatly scales the old WP 7.5 apps in right proportion edge-to-edge. On the other hand, the HTC 8X with a 16:9 screen runs some older apps with a thin letterbox (vertical bars that are used to fit images of one aspect ratio onto a screen of a different aspect ratio). The 920's screen has a pixel density of 332 ppi, which is in iPhone 5 territory (325 ppi). Sharpness is not an issue; thanks to the high 60 Hz refresh rate, anything that the screen displays — be it scrolling text or fancy transitions — looks good. Being an IPS panel, the screen offers wide viewing angles. Nokia's ClearBlack technology, consisting of a sequence of polarising layers, eliminates reflections and delivers sunlight legibility. The screen also offers better contrast ratio than most IPS panels. 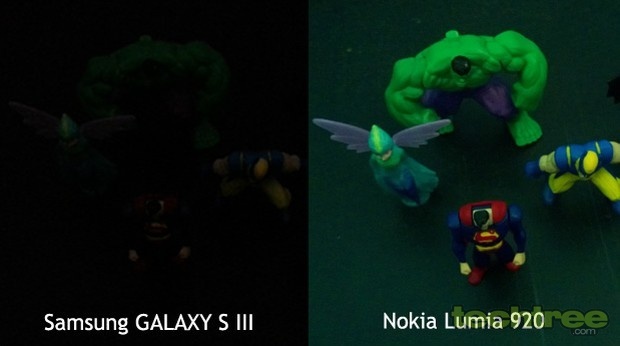 The levels of blacks on the 920 are comparable to AMOLED panels, except when set to full brightness. While it's one of the best IPS panels I've seen on smartphones, I would have preferred an AMOLED screen on this phone. There's been a lot hype surrounding Nokia's super-sensitive screen. After using the phone for a few days, I can confidently say it's one of the most responsive touchscreens available. Just like the iPhone 5's screen, it never missed an input. Even better, it's operable with pen, gloves, keys, fork, fingernails, and even a nail! This ability can come in handy in the northern parts of our country, where gloves are a must in winter. Finally, like any other high-end smartphone screen, this one is protected by Gorilla Glass 2. There's nothing special in the Lumia 920's retail package. You get a USB cable, charger, and IEMs that match the colour of your of handset. But wait, where's my charging plate, Nokia? Too bad — it has to be bought separately. The phone is powered by Qualcomm's Snapdragon S4 chipset, featuring a dual-core 1.5 GHz CPU and Adreno 225 GPU. It has an 8.7 mp camera with dual-LED flash, Carl Zeiss optics, and Optical Image Stabilisation. Apart from that, you get a 4.5" IPS panel with pixel dimensions of 768x1280, 1 GB of RAM, and 32 GB internal storage. The detailed list of specs is at the end of this review. With support for multi-core CPUs, the Windows Phone platform now performs even better. Thanks to a Snapdragon S4 chipset ticking inside the 920, the experience is as smooth as that of the iPhone 5. As already mentioned in oooour review of the HTC 8X, Microsoft has removed the unused space, often referred to as the gutter, from the homscreen. Users can now customise Live Tiles with three sizes to choose from. Other functionality upgrades include the addition of the mass storage mode and Bluetooth file sharing. Kid's Corner, as its name suggests, lets you create a separate homescreen with restricted access for children. This way, you can also let other people check out your cool new phone without compromising your privacy. Minor changes include an improved lock screen that can display updates from apps, and pull background images from Bing and Facebook feeds. One of the things I didn't like about HTC's 8X was its lacklustre maps app. In the 920's case though, you have the tried-and-tested Nokia Drive. The app allows you to download map data right on the device. Nokia offers maps for most countries; additionally, there's an option to download map data for an entire country as well as for individual states. For example, you can install the India (All) map, which is 553 MB in size, or opt for the Maharashtra/Goa map, that fits into 131 MB. 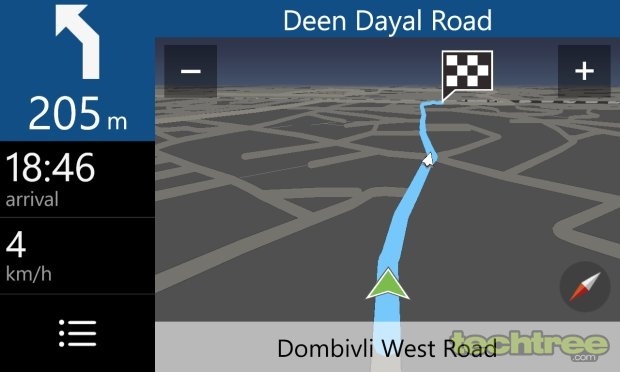 Once you've downloaded the desired maps, you can avail free voice guided navigation in offline mode. The app is packed with features, and there's even an option to get voice instructions in many languages — including Hindi. The device's GPS performance is impressive; even in offline mode, it never took more than two minutes to lock onto satellites. 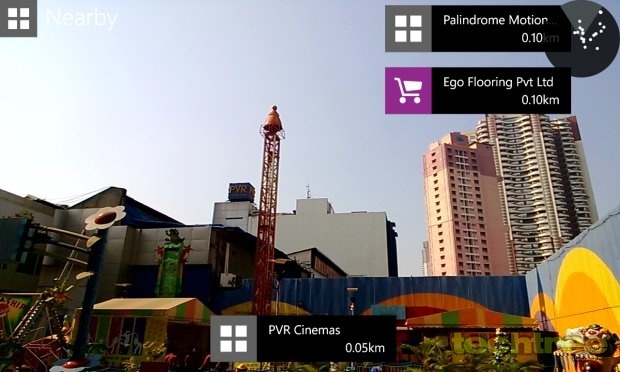 To top it off, Nokia offers an AR (Augmented Reality) app called City Lens that lets you find places of interest in a given locality. It helps you "see" where restaurants, theatres, train or bus stations, and shops are. It's like having HUD (Heads Up Display) in real life. What's more, it also displays the name of most residential buildings (at least in Mumbai)! PhotoBeamer is another interesting app from Nokia that allows you to display your pictures on any web-enabled device. Fire up this app, and open the image gallery on your phone. Then visit photobeamer.com on a device where you wish to display the photograph, and simply point the phone camera at the QR code that appears on the website. The photos on your device get mirrored on the other device instantaneously. It's the fastest and easiest way to share your pictures on a bigger screen. Coming to the subject of apps, Microsoft's Office Suite is impressive. The mobile version of IE10 is blazing fast at page rendering. If you own an Xbox 360, then Smart Glass is a must have app: It not only works as a controller for your console, but also comes in handy for text input. Bing is no match for Google, agreed. 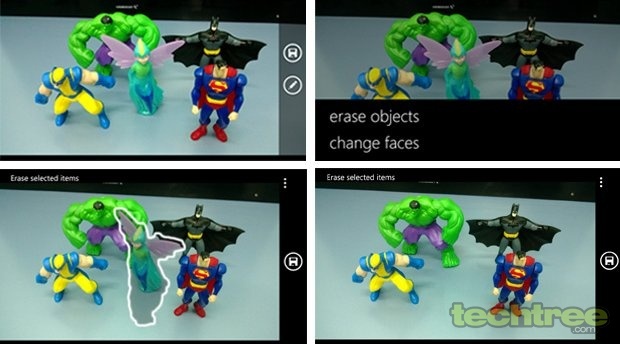 However, Bing Vision feature on Windows Phone is superb. Using the phone's camera, this app can scan QR codes, UPC codes, and even album art to provide additional information. My favourite feature is its ability to scan and translate one language to another within seconds. If you're in China, you can at least read billboards using this functionality. Microsoft's Store, previously known as Marketplace, has around 125,000 apps, and is getting busier each passing day. As far as I'm concerned, most of the essential apps are available for all platforms anyway. Still, going by sheer numbers, it has a long way to go before catching up with Apple and Google's app repositories. WP8's default music player offers a neat and clutter-free interface, but there are no equaliser settings. Nokia's Music app however does offer equaliser settings, and also comes with Dolby sound enhancement. The device's sound quality is great, and the bundled earphones are of good quality too. Just like the HTC's 8X, the Lumia 920 lacks FM radio (surprisingly, Nokia's official blog confirms that the FM tuner is present on the phone; we'll update when we have a clarification). The Snapdragon S4 takes care of MP4 and AVI videos up to 1080p — but MKV videos are still a no-go. The 8.7 mp camera on the Lumia 920 isn't the fastest one around, but it's definitely one of the best. It offers Lenses, which are actually photo apps that can be integrated right into the camera's UI. For example, a lens app called Smart Shot captures multiple photos and then allows you to choose and save the best one. There's an option to tap on a face and pick the frame where the person hasn't blinked. What's more, you can even delete a stranger who accidently walked into your group photo. Check out the screenshots below to see how it's done. With Cinemagraph you can animate certain parts of an image. In simple words, it's like those animated photographs you can see in Harry Potter And The Prisoner Of Azkaban. For best results, you need the most basic photography skill: Steady Hands. Once you click the photo, the software gives you areas that can be animated. If you're not happy with those suggestions, you can select the desired portions manually. Click here to view a sample. Panorama is duly covered, and it does what it says. Its interface is better than what competing Android phones offer, yet it isn't as intuitive as the iPhone 5's panorama app. Check the gallery below for panorama and outdoor photography samples. The Lumia 920 is capable of recording 1080p videos at 30 fps. Low light photo comparison (without flash). The phone packs in a 2000 mAh Li-Ion battery. In our 720p video loop test, it lasted around 6 hours and 30 minutes. Not spectacular, but better than the GALAXY SIII's 5 hours and 30 minutes. The fatboy pillow works as advertised — just place the Lumia 920 on it, and see your phone take a power nap. While it's not a necessity, it makes charging very convenient. 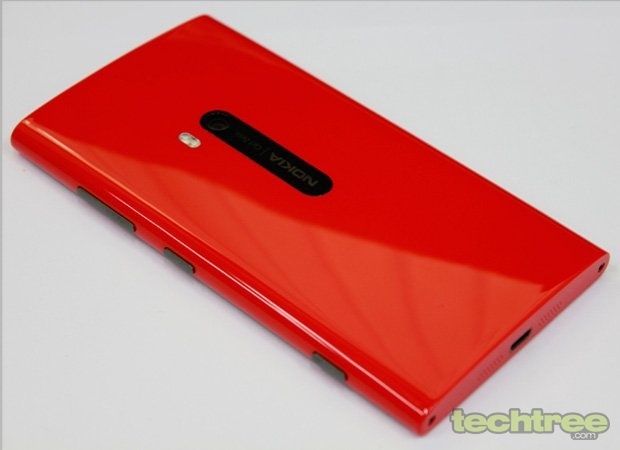 The Lumia 920's success is important for Nokia to get back in the smartphone arena. The company has put in a lot of effort, and it shows. Bold colours, beautiful design, and the outstanding camera set it apart from the current crop of smartphones. The UI is as fluid as iOS, and the number of features can be compared to that of any flagship Android phone. In short, with the Lumia 920, the Finnish manufacturer has delivered both style and substance. 3.5 mm jack with Dolby sound enhancement, Micro-USB port.